Sub-saharan Africans and other African groups. 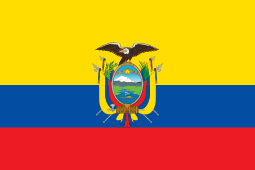 Afro-Ecuadorians are an ethnic group in Ecuador who are descendants of formerly enslaved Africans brought by the Spanish during their conquest of Ecuador from the Incas. They make up from 4% to 6% of Ecuador's population. Ecuador has a population of about 1,120,000 descendants from African people. The Afro-Ecuadorian culture is found primarily in the country's northwest coastal region. The majority of the Afro-Ecuadorian population (70%) are to be found in the province of Esmeraldas and the Valle del Chota in the Imbabura Province. They can be also found in Quito and Guayaquil. Their best known cultural influence known outside of Ecuador is a distinctive kind of marimba music. 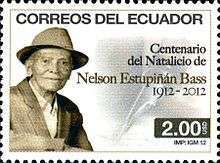 Most Afro-Ecuadorians are the descendants of enslaved Africans who originally arrived in Ecuador from the early 16th century. In 1533, the first enslaved Africans reached Ecuador in Quito when a slave ship heading to Peru was stranded off the Ecuadorian coast. The enslaved Africans escaped and established maroon settlements in Esmeraldas, which became a safe haven as many Africans fleeing slave conditions either escaped to there or were forced to live there. Eventually, they started moving from their traditional homeland and were settling everywhere in Ecuador. Racism deeply ingrained from the Spanish colonial era is still found; Afro-Ecuadorians are strongly discriminated against by the mestizo and criollo populations. Poverty is rampant amongst them. Many Afro-Ecuadorians have participated in sports, for instance playing with the Ecuadorian national football team. After slavery was abolished in 1851, Africans became marginalized in Ecuador, dominated by the plantation owners. Afro-Ecuadorians live all over the country but there are two places of historic presence which are Esmeraldas province and the Chota Valley in Imbabura province. There is a strong presence in Quito and Guayaquil which have neighborhoods with high Afro-Ecuadorian populations and also Ibarra. Afro-Ecuadorian culture may be analysed by considering the two main centers of historical presence: the province of Esmeraldas, and the Chota Valley. Marimba music comes from Esmeraldas, and gets its name from the prominent use of marimbas, along with drums and other instruments specific to this region such as the bombo, the cununo and the wasa. Sometimes this music is played in religious ceremonies, as well as in celebrations and parties. It features call and response chanting along with the music. Some of the rhythms associated with it are currulao, bambuco and andarele. On the other hand, in the Chota Valley there is bomba music. This music is very different from marimba, having a more prominent Spanish, mestizo and indigenous influence. It can vary from mid tempo to a very fast rhythm. It is usually played with guitars, as well as the main local instrument called bomba, which is a drum, along with a guiro, and sometimes bombos and bongos. A variation of it played by la banda mocha, groups who play bomba with a bombo, guiro and plant leaves to give melody. Religious practice among Afro-Ecuadorians is usually Roman Catholic. There is no significant African cult, although Catholic worship is distinctive in Esmeraldas, and sometimes is done with marimba music. Numerous organizations have been established in Ecuador to care for the needs of Afro-Ecuadorians. The Afro-Ecuadorian Development Council (CONDAE). Afro-Ecuadorian Development Corporation (Corporación de Desarrollo Afroecuatoriano, CODAE), institutionalized in 2002, Asociación de Negros Ecuatorianos (ASONE), founded in 1988, Afro-Ecuadorian Institute, founded 1989, the Agustín Delgado Foundation, the Black Community Movement (El Proceso de Comunidades Negras) and The National Confederation of Afro-Ecuadorians (Confederación Nacional Afroecuatoriana, CNA) are amongst some of the insititutional frameworks in place in Ecuador. The World Bank has funded Afro-Ecuadorian development proposals in Ecuador since 1998, loaning $34 million for related projects between 2003 and 2007, and USAID also overlooked the 2006 elections in Ecuador to see that Afro-Ecuadorians were fairly represented. 1 2 3 "Assessment for Blacks in Ecuador". CIDCM. Archived from the original on June 22, 2012. Retrieved August 28, 2012.